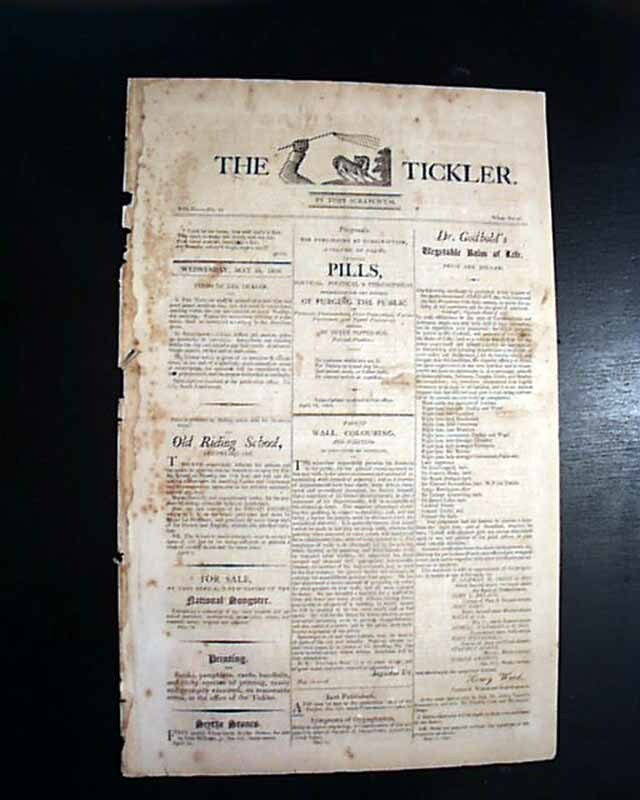 The masthead features a very unusual engraving of a dog and an arm holding a switch, & notes: "by Toby Scratch'em". The back page has a comic illustration (see). Four pages, bit irregular at the spine, a few minor margin tears, generally nice.